After what was a long and stubborn CT winter, then a spring with very limited weather improvement, it seems summer is finally with us. So much so, that CT has already had an official heat wave in late June. All our surroundings here in Goshen are lush and green. I hope you all are enjoying the weather and surroundings as much as we are. Have fun, stay safe. 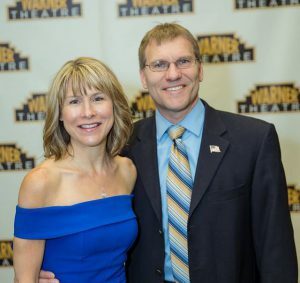 We attended the 20th annual Warner Theatre Gala in May, and as always, had a great time. This event is the biggest fundraiser for the Warner Theatre and it is planned, attended, and executed almost to perfection. Every detail is addressed, and all in attendance are made to feel special. As in years past, Barron Financial was a sponsor of the event, and our not-so-new advisor, John, and his wife, Marissa, joined our table. The auctions were exciting, though I admittedly got a bit carried away with bidding. No worry, all for a great cause. 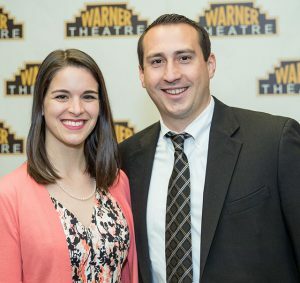 To learn more about the Warner Theatre, visit www.warnertheatre.org. The second quarter of 2018 was a mixed bag of market results. The U.S. took the lead as the S&P 500 rose +3.43% for the quarter. International stock markets didn’t fare as well, down –1.07% and the emerging markets were hit hard, down -7.83%. Bonds were down slightly at -0.16%, but short-term U.S. treasuries were up +0.43%. Tactical portfolios did well due to exposure to U.S. investments. Momentum shifted during the quarter from global to U.S. investments, though the signal didn’t come until June. The U.S. Federal Reserve (Fed) raised the Federal Funds rate again in June by 0.25%. That rate now stands at 2.0%. The increase in rates has been slow and steady since the 2008 financial crisis – a good indicator of just how far we’ve come since then. Not much getting done politically as Legislators gear-up for the November mid-term elections. About the biggest political news, albeit indirect, is the retirement of Supreme Court Justice Anthony Kennedy. Although the judicial and legislative branches of government are supposed to be independent, there is plenty of evidence to indicate otherwise. I think much of what happened over the quarter was driven by geopolitics as opposed to market fundamentals. Europe is contending with some stunning political changes in multiple countries that may strain the European Union (EU). Lots of uncertainty there. The emerging market economies have slowed to a degree, but U.S. trade policy is weighing heavily on them and to a lesser degree in Europe. Overall, economic fundamentals look good across the world, but the geopolitics don’t. Europe’s struggles are getting worse. Although their economies and unemployment issues have improved, their politics haven’t. Angela Merkel is having trouble holding her German government together, Italy just voted in a populist prime minister with anti-EU sentiments, and Spain voted in a new prime minister who leans socialist. A recipe for uncertainty. Trade policy is a legitimate concern for the emerging markets, but I don’t believe we are headed for an all-out trade war. The U.S. and China are not allies, and that is becoming clearer every day. The summit meeting between U.S. President Donald Trump and North Korean leader Kim Jong-un was a historic and exciting start to finding a non-military Korean solution. I expect the details of this denuclearization negotiation will begin to coalesce as the quarter continues. It won’t be a fast process, but one that can hopefully produce results. Don’t be surprised if we get more announcements as we get closer to the election. Last quarter I said I did not think we would see a slow-down or recession in the U.S. in 2018. I continue to believe that. Even early 2019 looks steady, but I don’t think all of 2019 is out of the woods. My investment strategy is to underweight international investments given the problems in Europe. I will continue to overweight emerging markets. For bonds, given the steady drumbeat of rising rates, I’ll be underweighting intermediate bonds and adding to both short and long duration bonds. It is sometimes called a barbell approach. I will continue holding foreign bonds and some equity long/short as an alternative to help manage volatility.